I'm on summer vacation! 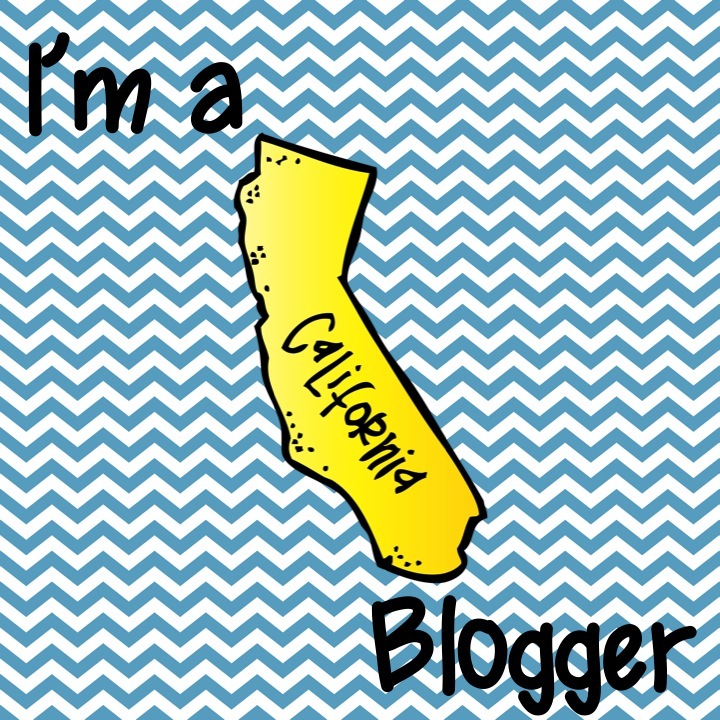 Well, I have been since Friday, but I'm just now getting around to blogging. This has been the week of appointments...dentist, doctor, hairdresser, oil change. You name it, the appointment happened this week! I put it all off during the year and then end up sacrificing my first week of vacation catching up on everything. Anyway, now that I have more time for me, I have more time to read blogs, plan next year's theme, and think about my upcoming vacation (one week!). 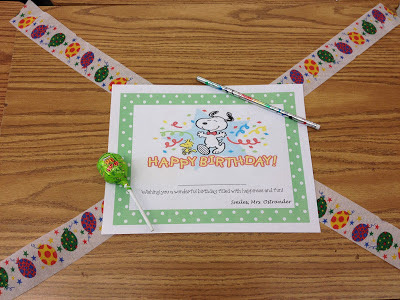 I was just reading a question posted to teachers about how they celebrate birthdays in their classroom and I realized that I hadn't shared my idea with all of you. For years, I puzzled over what is too much or too little for birthday acknowledgements. None of the schools that I have taught in allow any kind of in-class celebration (if parents bring in cupcakes we have them in the lunch room). I know that my childhood was quite different. 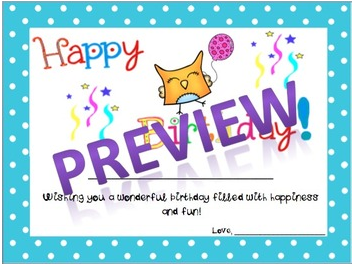 I can remember planning my in-class celebration for weeks, giving my grandmother a lengthy list of the items she would be required to send in for my classroom birthday party. 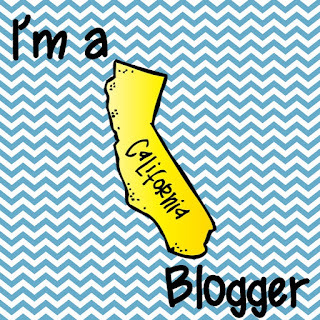 In fact, on one such preparation, I fell off of a chair in the midst of icing a cupcake. I still have the scar to prove it. birthday blow-pop (in bundles of 5 at your local Dollar Store!!) - I don't allow gum chewing or candy eating of any sort in my classroom unless it is a special occasion, so this is a super special treat in my room! birthday certificate - with Snoopy, of course! I made it myself! Just a little colored ink from the printer and...voila! 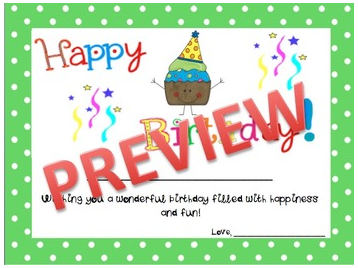 Though I can't share the Snoopy one for copyright reasons, I do have two happy birthday certificates available in my TpT store. On the last day of school, I do this for all of the students with summer birthdays so that they don't miss out! 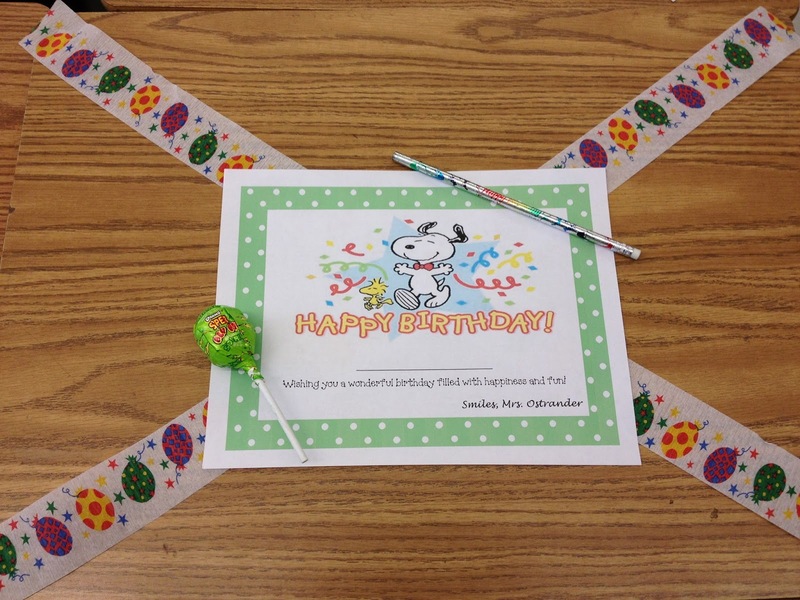 And, if a student has a birthday over the weekend I decorate their desk the Friday before it. That way everyone is included! So simple and cost effective...this is now my official go-to birthday acknowledgement! I hope it will be helpful to others who are trying to save a little money and still make it special for their students. Tomorrow my only appointment is working on my tan poolside! Yipppeeeee!! Yes, it's the end of the year and I am talking about homework. It's reflection time! At the end of each year, I am always evaluating what's working and what isn't. 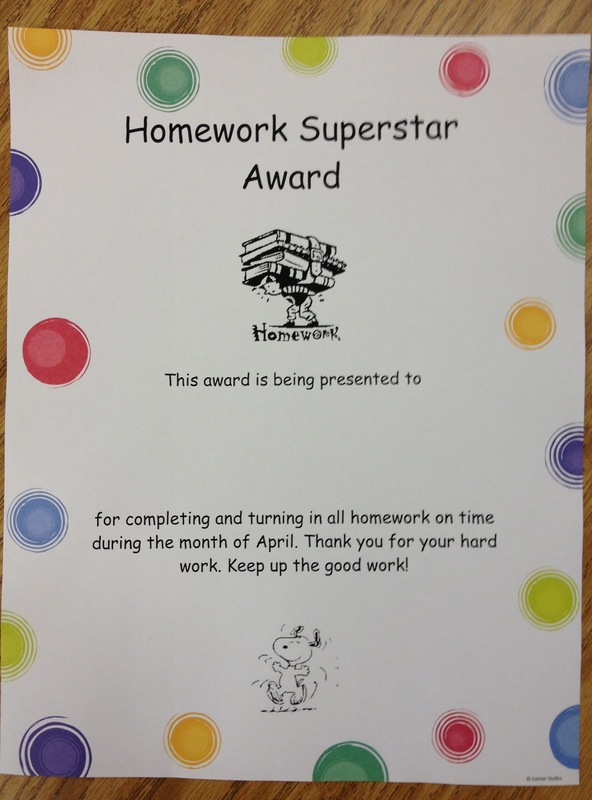 I'd say that homework rewards are because my students are buying in to my rewards and it's not costing me a bundle. My students get homework Monday through Thursday. I check it each morning. 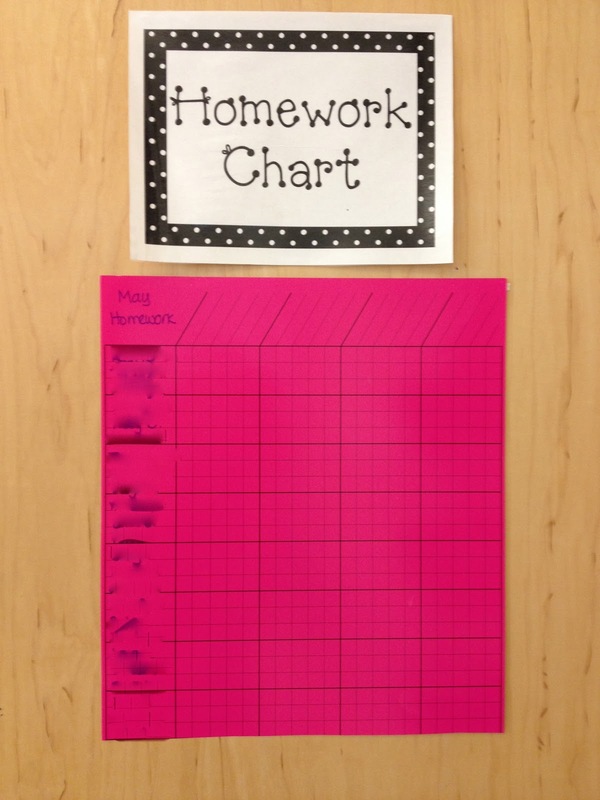 As I check it, I use a homework chart to chart their progress. 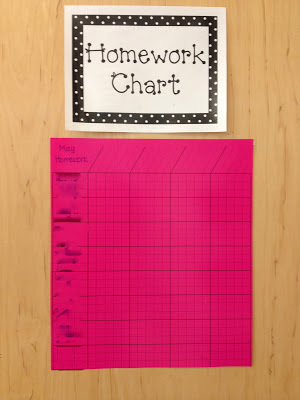 Usually, I buy 10 charts at the beginning of the year in different colors (because the same colors all year are so BORING), but you could get away with just buying one and laminating it if you wanted to be really savvy. You can find them for around $2 each, so $20 for the year isn't too steep. I put a dot under the assignment and next to their name and then it's a student's job to put the stickers over the dots at the end of each day. If the student only completes half of the homework, they get a 1/2 and if they complete none they get the dreaded "X". Neither of those gets a sticker, because only the dot is worthy of the sticker. I chart it for a month. 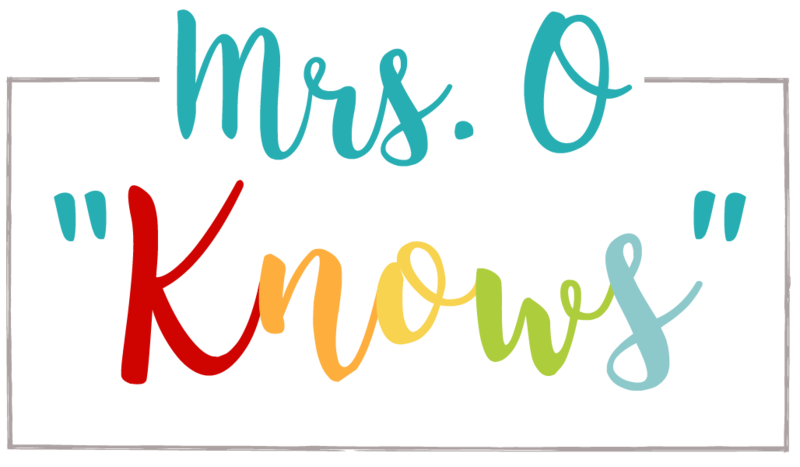 At the end of that month, I take down the chart and look for my homework superstars that have a sticker for every single day for that month! In addition, I also look for anyone with a lot of "x's". Those charts are a great visual for parent conferences. 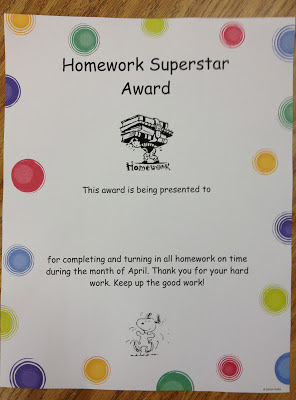 If a student has all of their stickers then they get a homework superstar certificate, which I print up on colorful paper (Bought 100 sheets at the beginning of the year for $10...less expensive than using all that ink). 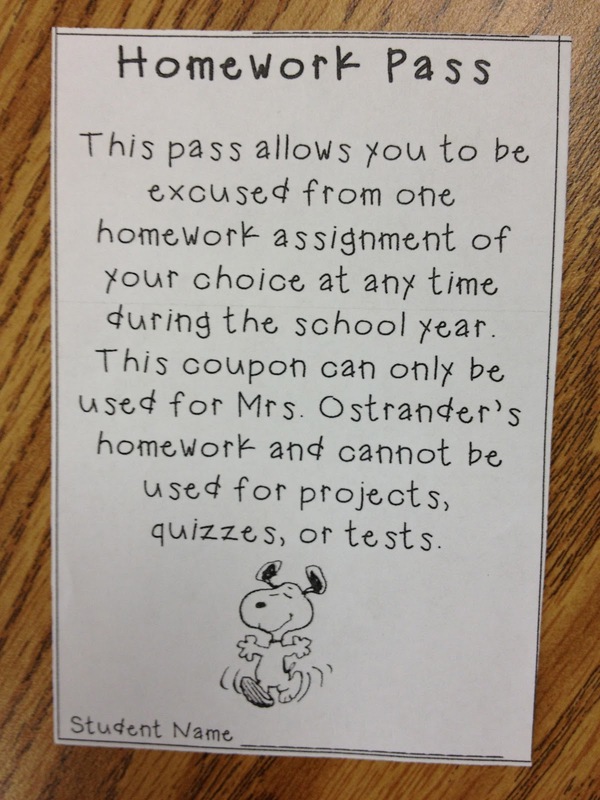 I attach a homework pass that I created myself (of course it's Snoopy) to the certificate and leave it on their desk. 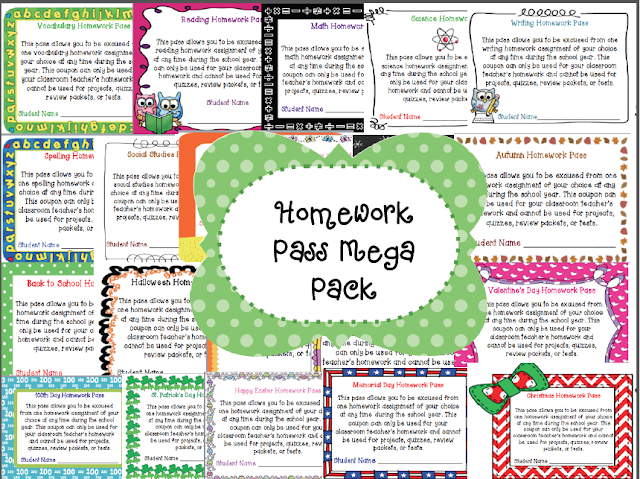 They love seeing that bright colorful paper on their desk, but love the homework pass even more! All of the students that earn certificates get their name placed in to a raffle for a free book ($5 and under) from the book order and I only choose one each month. (Think your $10 in free books...thank you Scholastic). 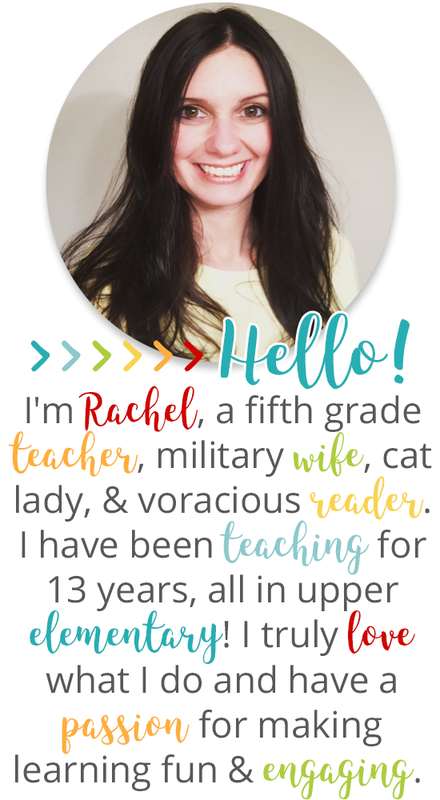 So, in total, you could spend $5 on a laminated chart that can be write-on, wipe-off, $10 on computer paper that's cute, and a little ink to print out the coupons or you could buy my set on TpT which is already adorable and ready to go! You could opt-out of the book order reward if you don't do book orders. 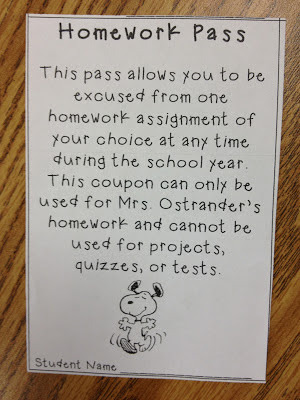 To be honest, my students always seem to be more interested in the homework passes than the raffle anyway. You may or may not use stickers over the dots on your homework chart, but if you do, you can find a bundle of them in the $1 section at Target and if you were to get 5 packs, you'd still be at $20 for the whole year. 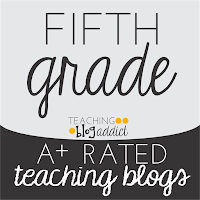 If it results in students practicing the lessons that I teach, I'll happily spend $20 a year!